Tucked away in the valley of the River Severn with the Wyre Forest to the South and West, plus Eymore Woods to the North, Trimpley Reservoir is surrounded by an ancient English landscape, nestled between the River Severn on one side and the historic Severn Valley Railway on the other. The site used to be that of Eymore Farm and our clubhouse now resides in the converted farm buildings. Many footpaths pass through the grounds which are popular with walkers and families. 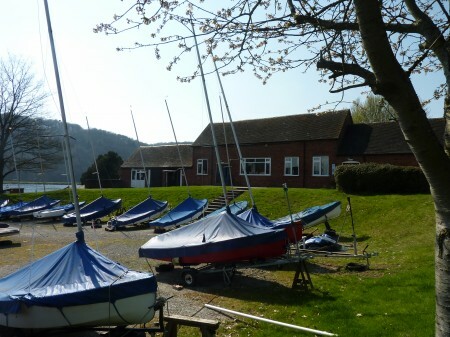 Surrounded by hills, it is a scenic, tranquil setting for the sailing club, even if it does give us some interesting winds. 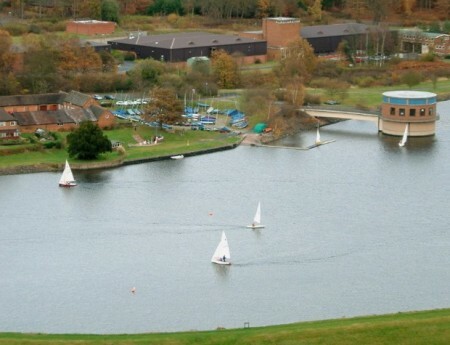 A few local people formed the sailing club soon after the reservoir was built. There have been a lot of changes since but the core values have stayed the same: a small family friendly club promoting sailing as a social sport to enjoy the outdoors. 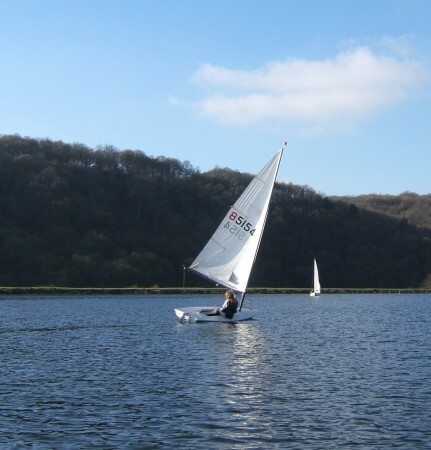 Since the clubs inception we have been running learn to sail courses every year, a tradition we maintain, running a course every Spring and Autumn. We have also seen a lot of success for a small club, undoubtedly the greatest is that of Alison Young, who learnt to sail at Trimpley and went on to represent Great Britain sailing the Laser Radial in the London 2012 Olympics. There are two reservoirs at Trimpley, the main upper pool for storage and a smaller lower pool for collecting waste mud. The upper pool is a 30ft deep, concrete lined, near oval; with the steep sides we can make full use of the reservoir area when sailing, and there’s no chance of hitting the bottom when capsized either! Water is pumped into the reservoir from the River Severn, so we have a near constant water level all year. On the northern bank the reservoir had to be built around a protected rare Yew tree, which now stands next to our race control and spectator area. Our clubhouse resides in a converted barn, a remnant of Eymore Farm. Inside we have a large open social area which doubles as our classroom. There is a small kitchen where we can prepare hot and cold drinks and heat food if required. Facilities attached to the clubhouse are male and female toilets and changing rooms with showers, plus a garage workshop which can be used by members for boat maintenance. Closer to the water we have a spectators shelter, race control, boat shed and of course the boat park plus plenty of vehicle parking.